The economies of the Middle East and North Africa (MENA) region are in dire need of substantial institutional reform to improve their growth performance so as to create enough jobs for millions of entrants into their respective job markets, and to fight poverty and income inequality. This is necessary not only to reduce the risk of social unrest and domestic/regional conflicts, but also to assure stability of energy supply to the rest of the world and to hamper the violence originating from the region. So, the region's convergence to global standards of governance quality is desirable for increased prosperity and stability both in the region and outside. 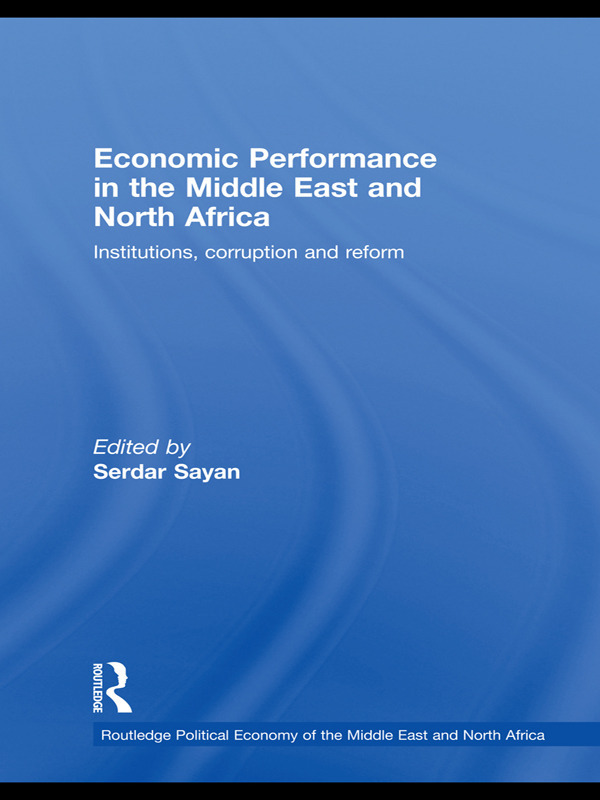 This volume contributes to the recently burgeoning political economy literature on institutions by putting together well-written chapters that empirically study the relationship between economic performance and institutional characteristics in MENA economies to point out some of the areas where institutional reform is particularly needed and possible tools to use for such reform. Perhaps one common lesson that can be derived from all chapters in the volume is that the both the region itself and the global economy will benefit from a MENA region that is better integrated to the rest.